Can I Obtain an Auto Title Loan to Get My Vehicle Out of the Shop? 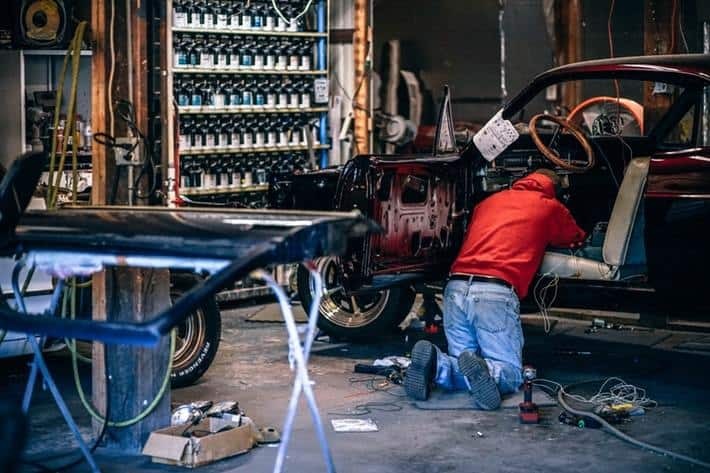 You are here: Home » MoneyTalk » Getting and Using a Loan » Can I Obtain an Auto Title Loan to Get My Vehicle Out of the Shop? Auto title loans can be a great way to get the money you need when you fall short in a financial emergency. You can use auto title loan funds to pay for many different types of emergencies: medical emergencies, home and car repairs, bills, rent, and many other things you need emergency money for1. By using your auto title, you can get money based on the equity of your car and your income. If your car has a clear-and-free title and you have proof of income, you’ll be able to use a title loan to get your vehicle out of the shop. Auto title loans use the title of your car as the collateral of the loan. This means your amount of money isn’t based off your credit history, but rather the value of the car1. This is a type of secured loan that isn’t determined by credit whether you’ll be approved, but by the collateral you are using – in this case, your vehicle’s title. Cars are a necessity in life, especially if you travel a lot because of work or your lifestyle needs. When something happens to our cars, we need to get them fixed immediately- especially if you rely on your vehicle for work. Even if the fix is more than we can handle financially, we find a way to pay for it. If you don’t have the money to pay for your vehicle repair to get it out of the shop, let LoanMart help you by giving you an auto title loan. In fact, by applying for a title loan with LoanMart, you’ll be able to get your loan in as little as one business day. You can even get it in a few hours if you apply at the right time and have all your important information ready. With LoanMart, we’ve made our process extremely easy to apply for title loans. If your car is in the shop, that may mean you are without transportation to a LoanMart store. However, LoanMart has several ways for you to apply for your loan entirely online without having to step foot into a participating store. The first step to getting your title loan is to apply! This is one of the easiest parts of our streamlined application process. You can either apply online, over the phone, or in a store. With our online application, it could take you less than 5 minutes to complete your application! After you submit it, a LoanMart representative will be in contact with you to continue your loan process3. After you’ve submitted your documents and pictures for review, your LoanMart representative will be able to give you a more accurate quote on your loan. You will then receive your contract explaining your loan terms, the life of your loan, as well as the interest rate you’ll receive for the loan1. If you apply online, you’ll be able to electronically sign it with our online system. To receive your money, there are many options with LoanMart. You can collect it at a participating store, a MoneyGram location, or it can be deposited into your bank account. By choosing LoanMart for your title loan needs, you’ll be able to take advantage of all the amazing benefits that LoanMart has to offer. Not only are we one of the leading title loan lenders, but we make sure that our customers are well educated on title loans before they make a choice. We want you to know your options and what you’ll be agreeing to before you sign. Don’t miss your chance with LoanMart! Get your title loan today so you can get your car out of the shop and back in your home where you can drive it as you please. Even with a title loan, you’ll be able to drive and operate your loan as you normally would! Call us today!